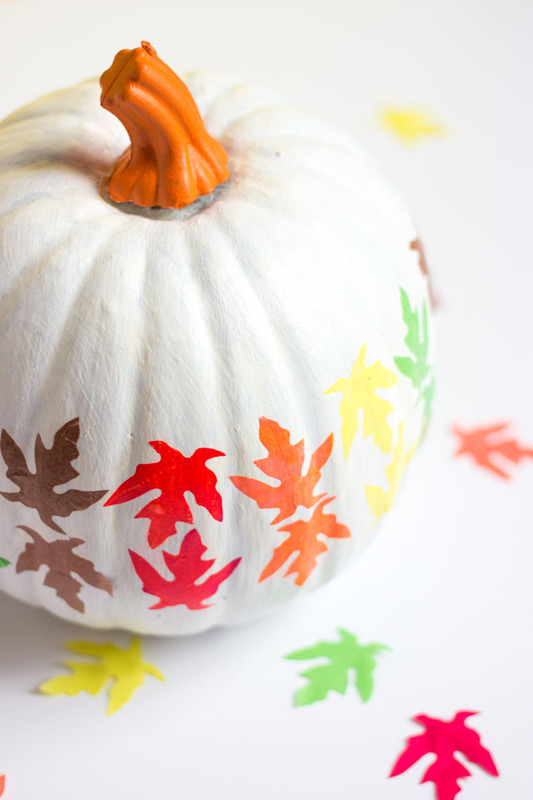 Alright, who’s ready to get your fall crafting on? I have been crafting for fall (and Halloween!) for the past two months already, so I’m so excited to share with you what I’ve been up to! I thought the official first day of fall would be the perfect time to kick things off, starting with these colorful fall leaf pumpkins I made for Oriental Trading! 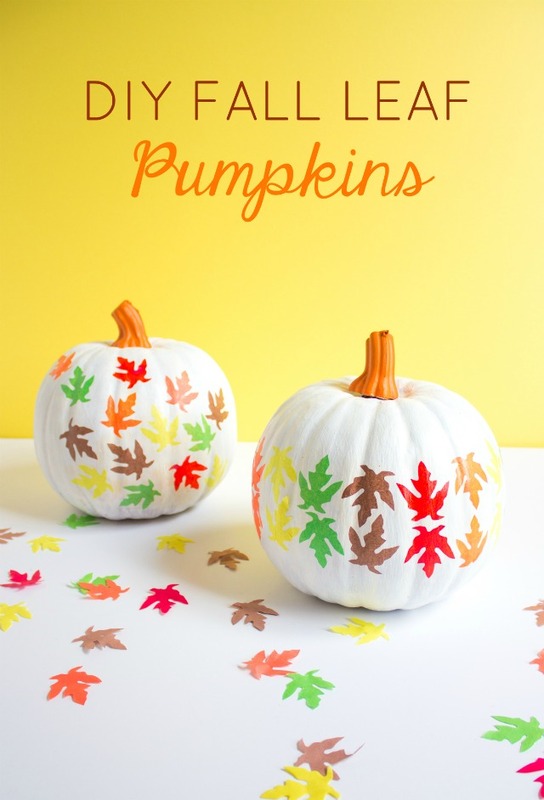 This was a really simple and fun project using faux craft pumpkins, tissue paper leaves, and Mod Podge. They look fancy, but they couldn’t have been easier to make. 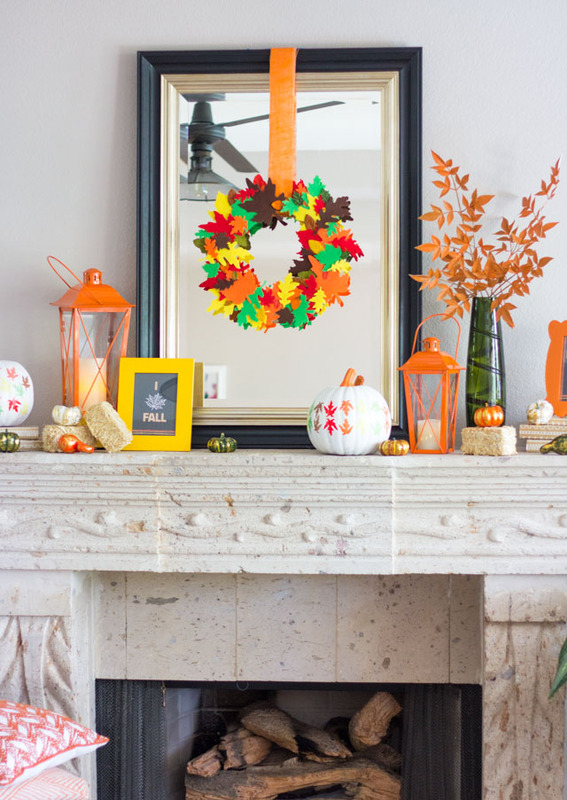 Read on to see how they look displayed on our living room mantel! 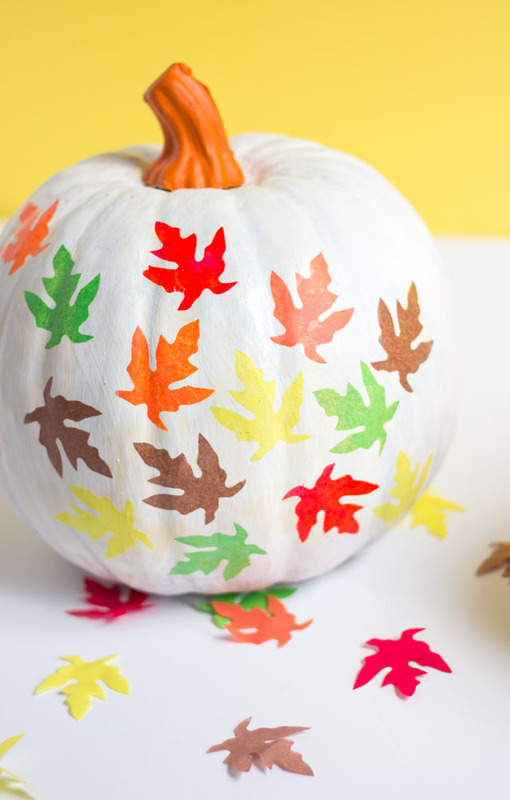 The leaves almost look like they were painted on, but it just took seconds to add each one with a little bit of Mod Podge. I love how the set of tissue paper leaves came with all the bright colors of fall. I made the pumpkins to incorporate into my cozy fall mantel. It might not feel like fall outside here in Texas with the 90 degree temps, but at least I can pretend like it’s fall inside. I can’t wait until it’s cool enough to have a fire in the fireplace! You can find all the details of my mantel on Oriental Trading’s blog. 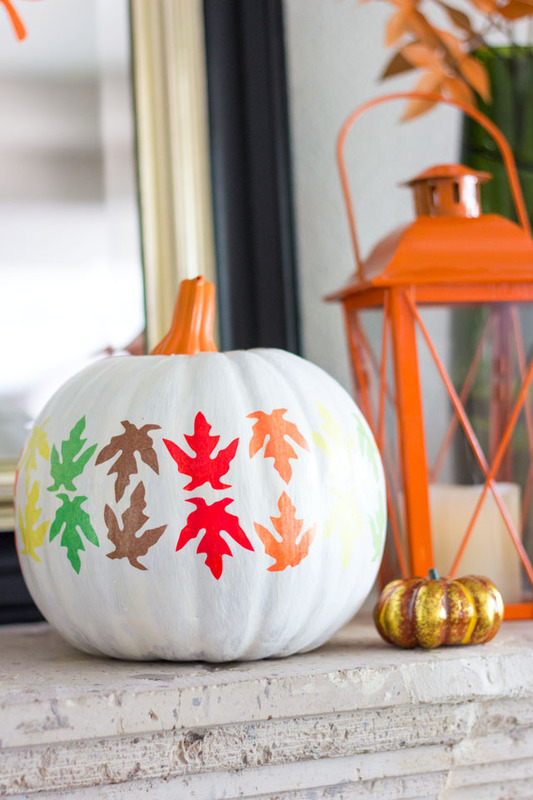 Get ready for lots more fall crafts to come next week, and in the meantime head to Oriental Trading’s blog for the step-by-step fall leaf pumpkin tutorial!